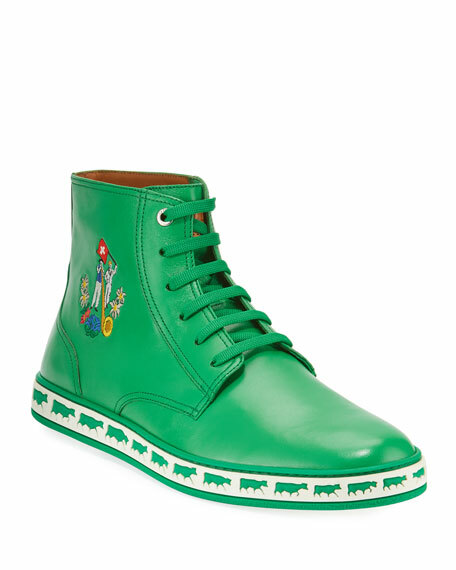 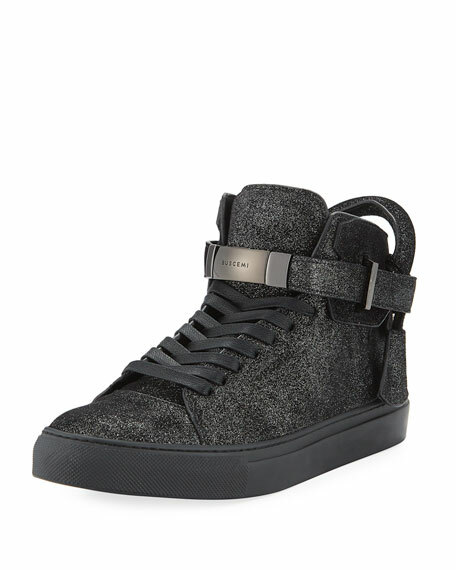 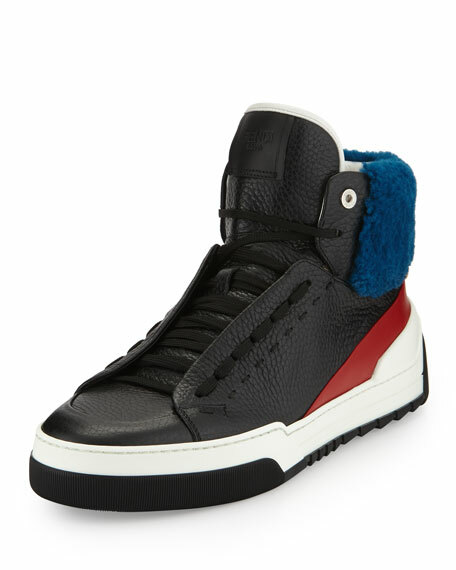 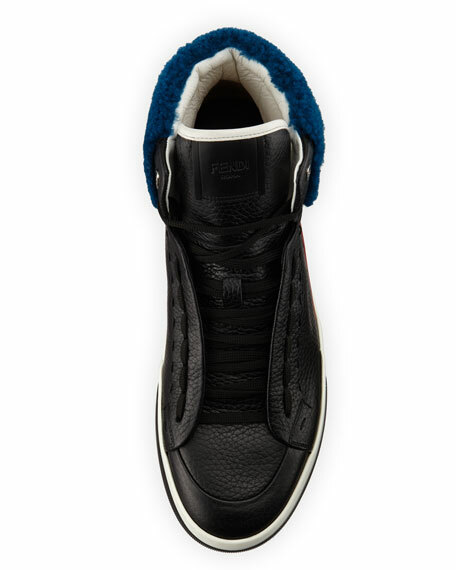 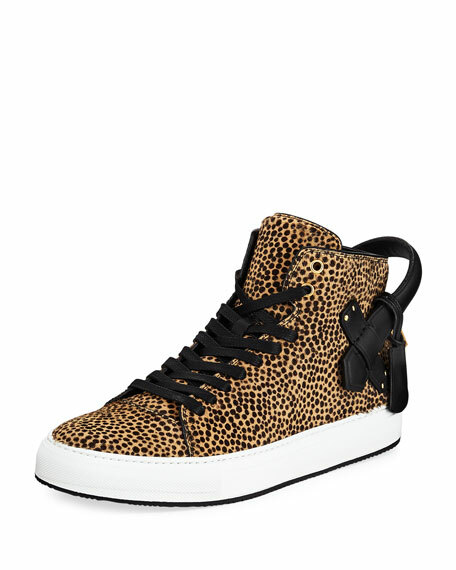 Fendi calf leather high-top sneaker. 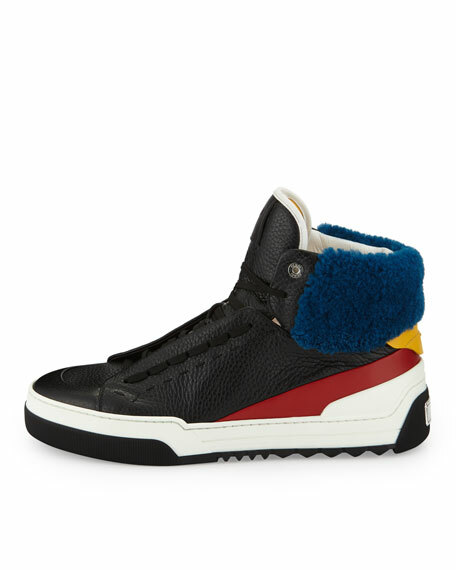 Dyed sheep fur (Spain) around collar. 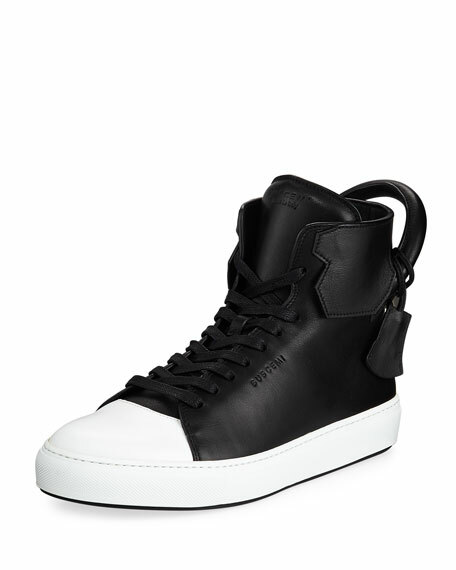 For in-store inquiries, use sku #1600257.